Expect to be frantic if you have to take care of something that’s time critical today, Aries. People and situations aren’t in your favor. Everything will seem like a challenge. Prioritize tasks and do them slowly and cautiously one at a time. If you push too hard, you will make mistakes and wear yourself out. The world won’t end if you don’t finish all your tasks. 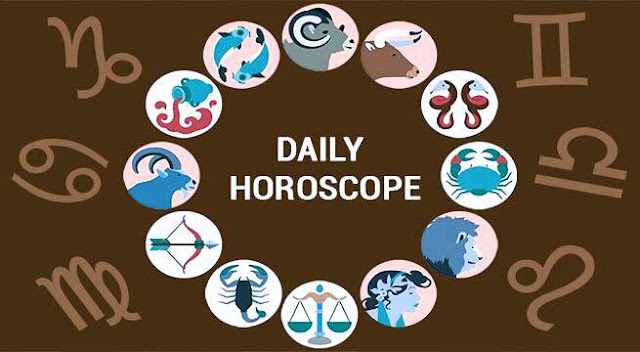 Generally you avoid politics in any group you belong to, Taurus, but today you might get caught up in the fray in order to support a friend. This goes against your grain. Be sure and assess the situation carefully before getting too involved. Friend or not, you aren’t going to want to alienate anyone in the group. Think about it. Is it worth it? Changes you’re making at home might necessitate your planning extra time, Gemini. Perhaps you’re waiting for a guest whose plane got delayed, or your shopping trip takes much longer because you can’t find what you’re looking for. Whatever it is, don’t panic. Just try to stay rational and think about other options or alternatives. Are you involved in a search through every store for a particular item, Cancer? You might be looking for a long time. The object you need won’t be found at the local mall. Secondhand shops, obscure boutiques, antique stores outside town – all of these are more likely to have what you want than any shop you’d normally frequent. Be brave and take a chance. You might really enjoy it. If you’ve given up on something you’ve lost, Leo, you might get a real surprise tonight when a dream sheds light on where you might find it. It’s important that you either get up and search for the object immediately or write the dream down in as much detail as you can remember. Otherwise, this could be one of those dreams that disappears as soon as you wake up, and you won’t want that. A business or romantic partner might be in a foul mood and not very likely to tell you why, Virgo. It won’t be all that easy to deal with, but it probably doesn’t relate to any trouble between you. Therefore, it’s best to let your partner work it out alone. Take care to stay cool and keep a safe distance between you, at least for today. The mood should pass by tomorrow. Have you been exercising beyond your fitness level, Libra? If you have, you’re probably feeling very tired, sore, and out of sorts. Take it easy today, even if you don’t want to. You can still exercise, but concentrate on yoga and tai chi rather than more strenuous programs like aerobics. Push yourself a little, but not too much. The idea of “no pain, no gain” is a fallacy. A goal you’ve recently been on the verge of attaining may suddenly hit unexpected setbacks, Scorpio. However major or minor they are, it’s going to be disheartening. The only thing you can do is pick up the pieces and move on. The goal isn’t dead in the water. There are only some extra tasks that need to be done before you achieve it. Do what you have to, and hang in there. You could be introduced to a new person today Sagittarius. He or she may be someone who will play a very important role in your life at one point. You will feel an instant connection and find out you share a passion for the same kinds of things. This person could turn out to be a very good friend, and romance is also very likely. Take it slowly and see what happens. Is there a secret you’re obsessed with unveiling, Capricorn? Something strange could be going on in your neighborhood, or it might be an intellectual puzzle. Whatever it is, you’re determined to discover the truth. You may do things you wouldn’t normally do. Don’t be too pushy with questions. Confine your research to books, newspapers, and the web. You can find a few clues without alienating anyone. Various intellectual or humanitarian subjects you’ve been reading about have changed your value system, perhaps subtly, Aquarius. You may not notice it until you hear someone mention beliefs like those you used to hold. It might be uncomfortable to realize that such profound changes have occurred in you, but it’s only a natural part of personal growth. Everything changes, so why not you? A temporary separation from a love partner might have you in a very gloomy mood, Pisces. Attempts to reach your friend by phone might prove fruitless. You might grow more and more frustrated and angry. There isn’t much you can do other than leave messages. Don’t let your insecurity get the best of you. Find something else to do until your friend has a chance to call. Better late than never.